Opening: Interviewer “surprises” Paul at “his mansion” (maybe it IS Paul’s home, but more than likely, rumors/info identify the location as “some mansion in Beverly Hills”), doorbell playing the tune, Rock and Roll All Nite, with Paul supposedly just woken (a stray scantily-clad fem running for cover in the background) and inviting the interview crew into his home “since they were there anyway.” The audacity that anyone would mistake any of this fake setup as authentic is what makes it so funny. The acting is as bad as KISS MEETS THE PHANTOM OF THE PARK but the difference is, no one’s taking anything seriously (at least, I hope not). So whether the boys are making up stories or recounting real band history, we can never be quite sure with all that tongue in cheek. We meet Gene in a high-ceilinged, medieval demon’s den, garbed in a big Dracula cloak, sitting on a throne with women surrounding him like slaves and – as usual – on the phone cutting a deal, mentioning something about “marshmallows and duck butter.” He greets the camera crew like Frank Sinatra overlording his kingdom, “My kinda place! Just call me Mr. Hollywood,” then turns to the wall where four trophy heads of women hang. He asks two of the girls to switch places and the heads promptly pull backwards out of the wall and re-insert themselves in the appropriate trophy plaques, to Gene’s aesthetic contentment. And on it goes like this, interspersed with excellent vintage live performances from the mid-70s – to any Kiss fan, ambrosia – and then-current videos from their latest album (Asylum, 1985). Paul and Gene take us on a fun, informative tour of “the Kiss vault” (which is more like a bunch of Kiss memorabilia thrown into a dark room, set-dressed to look like a Kiss vault if you squint hard) – again, it might just be the real Kiss vault with all the excellent artifacts it contains, but then Paul points to a Shakespearean-era painting and identifies it as “Joseph Kiss Senior, who came up with the vision of Kiss in 1753,” with Gene adding, “That’s of course, a picture of him without makeup.” It’s dry as hell and twice as lunatic, with Paul ad-libbing to his frontman heart’s content and Gene speaking of himself in the third person. Of course this mocku-docu is for viewers who do not vomit and/or consult Jesus at the sight of Kiss. And if you disagree with the high rating here, the only loser will be you. Kiss don’t care, they’re millionaires. Directed by Claude Borenzweig, EXPOSED is hands down one of the best Kiss DVDs, not just for nostalgia value, but because Stanley and Simmons (who have co-writing credits, I suspect from all the mad-libbing) were in fact, different back then. They were a lot more fun. (And most of their hair was real.) Though the band was only 14 years old at the time, it could be argued they were not yet sullied by the travails of longevity; not innocent babes by any means, but also not 37-year veterans either (at the time of this writing), which lends performers a maybe-wiser, maybe-bitter, maybe-worn, but definitely more sober perspective on their careers and personas. They were young (Simmons 38, Stanley 35) and definitely enjoying the ride a lot more; it shows in their lighthearted patois, their commitment to totally irrelevant sketches (the Paul Stanley Disco Workout, Gene’s dungeon gags) which we could never envision them doing now, and the ease and playfulness with which they interact during their two-man interviews. At one point, they reminisce about the two of them busking Beatles songs and break into a seemingly impromptu harmonizing of I’ll Be Back. Technically, PHANTOM OF THE PARK was the first Kiss DVD, but that was a crap movie that had nothing to do with Kiss. EXPOSED is the band’s first authorized DVD release that is truly a snapshot of Kiss – maybe not “reality” per se, but definitely how Paul Stanley and Gene Simmons want us to perceive them. Since EXPOSED, many more Kiss DVDs have come our way, all following a similar formula (current documentary/interviews, mixed with new videos and vintage live shows), none capturing the Marx Brothers lightning-in-a-bottle of this earliest release. 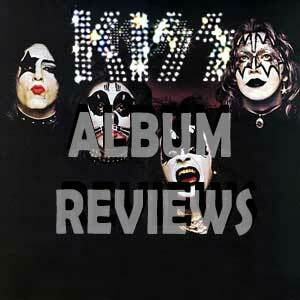 Writers: Claude Borenzweig, Len Epand, David Greenberg, Gene Simmons, Paul Stanley. Starring: Paul Stanley, Gene Simmons, Bruce Kulick, Eric Carr, Mark Blankfield, Peter Criss, Ace Frehley, Vinnie Vincent, Mark St. John, Kimberly Herrin, Blondi. Rock And Roll All Nite – live ’80.